Once in a while, my little meatavore will opt for a semi-vegetarian dish. Since lunch meals are my current ongoing battle, I am constantly seeking easy meals to throw together at the last minute. Especially on Tuesday mornings when we have to be out of the house at 7:45am for running club. Mamma mia! So making a big batch of fried rice early in the week means my morning lunch assembly involves a little microwaving and ta-da…done! 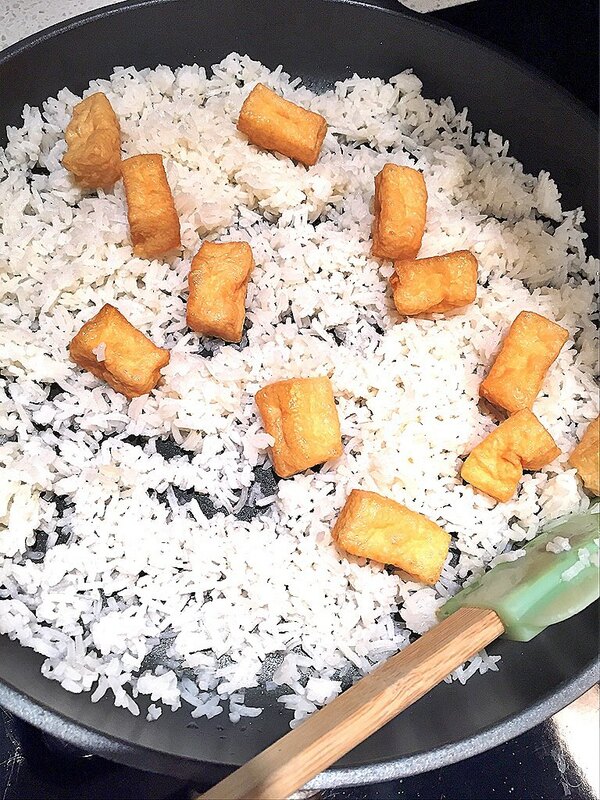 By the way, I should also say that if you ever have leftover rice from any take-out meals, DON’T throw it out! It’s perfect for making fried rice, so use it before you chuck it in the compost. Heat oil in a large frying pan on med-high heat. Add rice and stir to coat the rice, 3-5 minutes. Meanwhile, scramble 1-2 eggs in a small bowl and set aside. 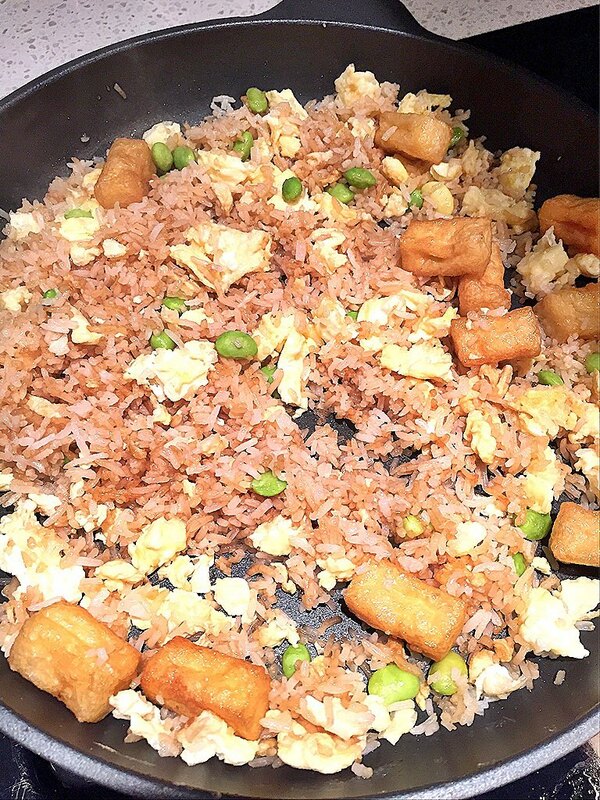 Add the tofu puffs and continue to fry for 3 minutes. Add your frozen veggies and stir together for another 2 minutes. 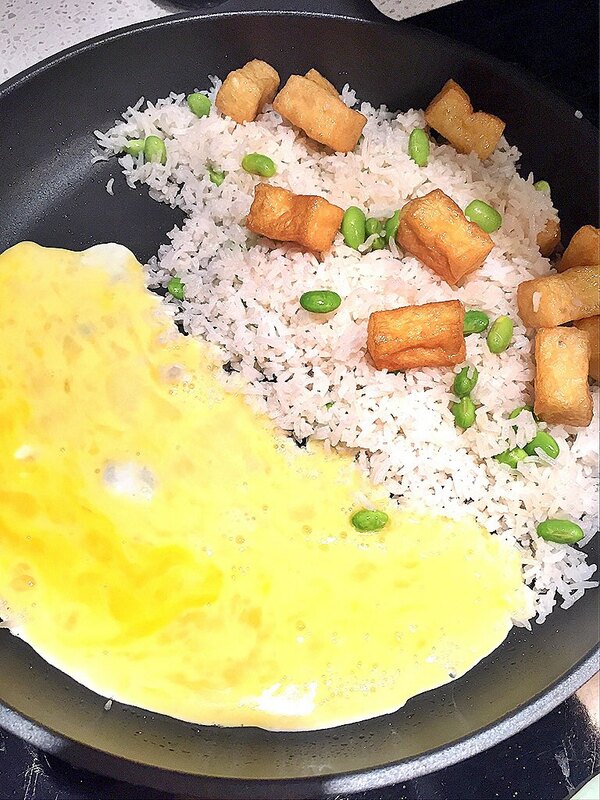 Then, moving the rice and tofu to one side of the pan, pour in the eggs. 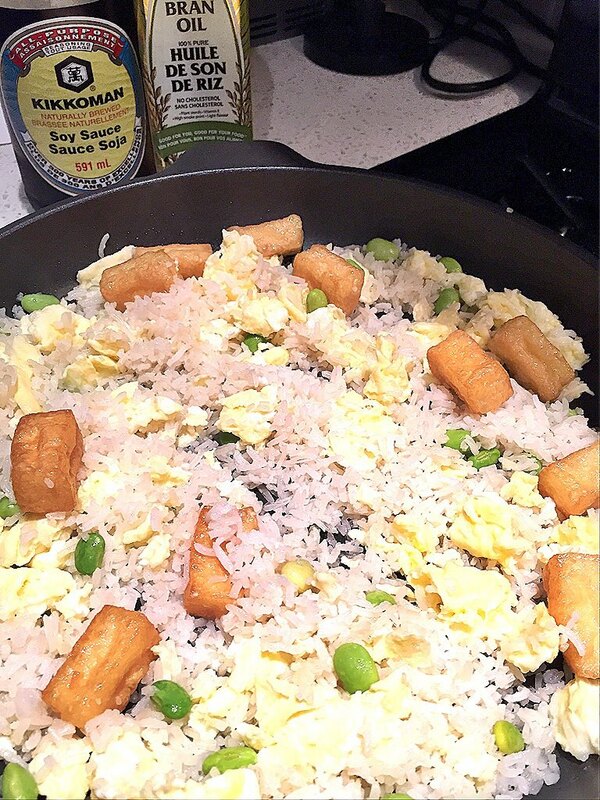 Scramble the eggs and once solid, mix in with the rice, tofu, and veggies. Integrate everything together and drizzle with soy sauce (quantity to your choosing, perhaps 1-2 tsp). Continue to stir all ingredients together for another 3-5 minutes.